I really did have quite a few loves as a kid. I was loyal too. 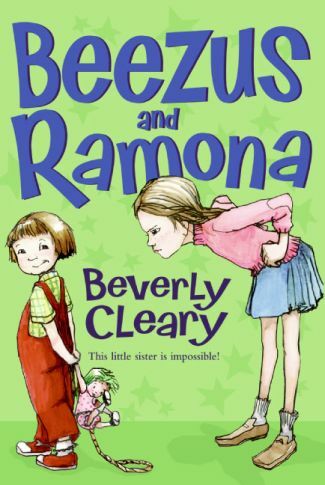 When I was interviewed by a local newspaper back when I was in second grade, I told them that my favorite books were The Babysitter's Club. When I think back to my childhood, those are still the books that stick out the most. I remember them vividly. I remember Claudia's grandmother dying and Stacy (was it Stacy?) having diabetes. I even remember some of the babysitters that came later like Jesse. I looked up to these girls. Babysitting sounded like the greatest job in the world. They had real problems that I could identify with at such a young age. Plus they seemed so much older and mature to me. I believe they started off in the sixth or seventh grade. This was such an unforgettable series for me. When I get my library, I'm going to find the entire series and stock them where I can see them and reminisce. Oh but there were a few more loves and I just had to share. Which childhood series did you love? 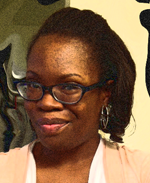 Feel free to create your own post and link up. Don't want to create an entire post? Tell me your favorites in the comments. 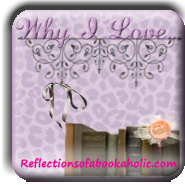 Thanks for stopping by for another week of Why I Love Wednesdays!! I liked all of the series you listed! Except Secret of the Old Clock, I don't remember reading that. Great picks. 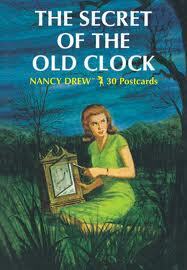 Secret of the Old Clock goes to The Nancy Drew series. That was my fault :( I messed up the dates on the linky. Yes! Me, too. #2 Claudia and the Phantom Phone Calls was my favorite. Also the one where Dawn finds the secret passage in her house. (So cool!) Was that #9? :D Those early books got me HOOKED. Yes! I remember those. I'm not sure that I read them in order but I read so many. I think it was Stacy that had diabetes. I loved those books. But my heart was really in Sweet Valley High. I wanted a twin for years. I never read the babysitters club, don't think it was published here but I know I saw the movie. I knew there was a show on Disney but I didn't have Disney at the time. I used to want to watch it so bad. Then when Disney became the norm, the show wasn't there anymore :( I don't know about the movie. Hmmm... I need to look into that. I know! We learn that time and time again. My library didn't have many of them. I used to read them in the book store when we went to the mall. I remember really liking the Babysitter Club series! I love that so many of us have read the same book! I loved the Harry Kitten and Tucker Mouse books by George Seldon. The stories were always so fun and the characters so cute! My favorite book in the series was A Cricket in Times Square. I never read those! I'm convinced that I'll want to put tons of children's books in my home library. Just thinking of them makes me happy. I ADORED the SVH series. I read SVH and SVU! And the BSC books were some of my favorites. I didn't read as many of them as I read Sweet Valley, but I remember I loved Mary Anne! I read the BSC books first and then progressed to SVH and SVU. I read so many of them all. 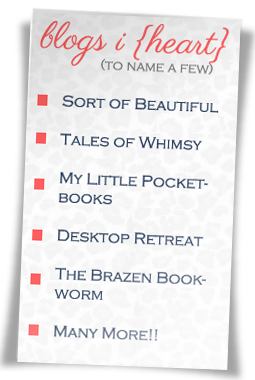 I read Nancy Drew first so Trixie Beldon never really stuck with me. They seemed so similar to me. I also remember this series! 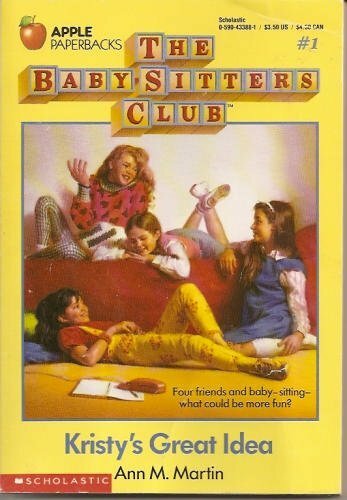 Babysitters Club actually inspired me to start my own Babysitting business when I was a kid. SVT and SVH were also faves of mine. So many good series. There were so many! They are so memorable to me as well. I loved Nancy Drew but not so much the Hardy Boys. I loved Shel Silverstein. I'm not sure I've heard of the The Wagon's West series. I read like one or two books from the BS Club! I think my all time favorite series was the Goosebumps. I didn't read many of the Goosebumps, but they were so popular at my school. Sweet Valley!! Definitely my favorite childhood series. The library I went to as a kid had an entire section of Sweet Valley books and about 3 shelves of SV books for sell at 25 cents each. Needless to say, I stocked up and had baskets full of SV books. 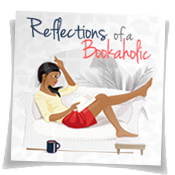 I'm down to about a dozen SVH and SVU books now that I still own, and I just recently bought Sweet Valley Twins: The Christmas Ghost at a library sale, which I read for the readathon last Saturday. It was the perfect holiday read. I enjoyed SVH and SVU because they seem so much older and sophisticated.